Synagogue, Demagogue, Supremacists gone wild! A Pittsburgh Synagogue experienced a day they will never forget, with the shooting deaths of 11 people. Police tape and memorial flowers are seen on Oct. 28, 2018, outside the Tree of Life Synagogue after a shooting there left 11 people dead in the Squirrel Hill neighborhood of Pittsburgh. Pittsburgh Synagogue experiences White Supremacy at its worst. 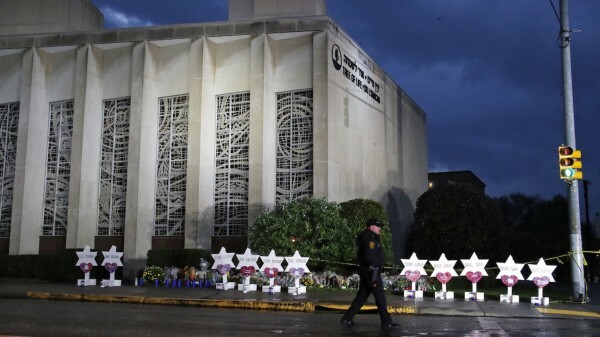 A Pittsburgh Synagogue, The Tree of Life, in the suburban section called Squirrel Hill was recently devastated by a needless shooting spree, killing 11 people, enacted by a known White Supremacist, under the FBI’s eye. Irving Younger, Melvin Wax, Rose Mallinger, Bernice and Sylvan Simon, Jerry Rabinowitz, Joyce Fienberg, Richard Gottfried, Daniel Stein, David and Cecil Rosenthal were all gunned down by an alleged extreme racial hater, named Robert Bowers. US synagogue shooting: Who is Robert Bowers? For me, Robert Bowers represents what is the last remaining ugly stain up our nation. He represents all that is wrong with the world, wars, hunger, and the struggling poor. He is the answer to who is destroying our Constitutional rights. President Donald J. Trump is not the one to mostly blame for what has been a growing, and empowering cultural attitude reemerging across America, since Obama took power of the Oval Office in 2008. However, it is definitely Donald Trump who is instigating, and giving Presidential support to these animals purveying into the 21st Century, that should be filled with a realm of International love and Global Unity. I imagine, for most of you reading this, that you know exactly who this describes over the last two years of his leadership of the United States. Unfortunately, this is the answer as to why so many of his alt-right, and supremacist followers have grabbed a hold of Trump’s coat-tales and are riding in the wind, like a schooner in the America’s Cup. Trump has mainly represented the voice of what is now the minority of Americans who support him still. I’ve seen so many individuals who previously supported Trump on both Facebook and Twitter, delete memes, photos, and previous posts in support of this Demagogue born with a silver spoon in his mouth. He uses the gang MS-13 to disparage all immigrants. Among many other statements, he has suggested that Obama’s protection of the Dreamers — otherwise law-abiding immigrants who were brought to the United States illegally as children — contributed to the spread of MS-13. Just out report: “United Kingdom crime rises 13% annually amid spread of Radical Islamic terror.” Not good, we must keep America safe! How much responsibility does Trump bear for the synagogue shooting in Pittsburgh? Supremacists are going wild across America! 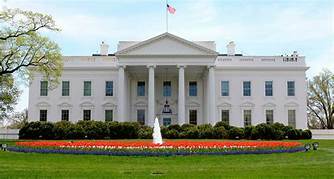 So, here we arrive at the outcome of all of what President Donald J. Trump has represented since January 2016, when he was Inaugurated. White Supremacy across America, a small group abeit, is growing and empowering themselves day by day, encouraged by the monster-in-chief’s “smoke and mirrors” diatribe. 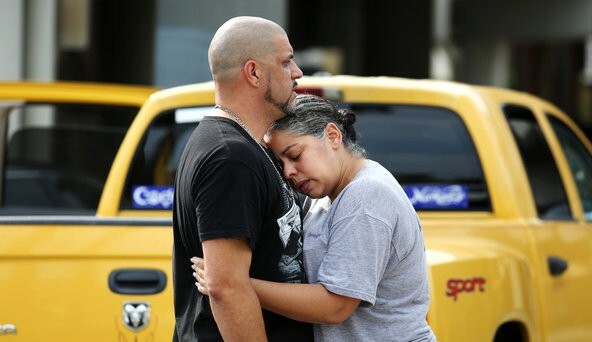 The rise of Supremacist mass shootings has climbed to an unprecedented number. However, many who challenge me on my postings of articles on this subject, and the presence of yet, unabashed racism, state that I’m not being fair, by not pointing out all the blacks citizens shooting themselves up, and that if I’m going to point out a few Supremacist shootings, that I better point out the black communities struggles with shootings, and “mass shootings” of four or more of their own race. This argument and the very nature of pointing it out, raises the question: “Why are you yourself, only focusing on the shootings of black communities, and not the white trash communities where the same thing takes place?” Though, not quite of the same amount of shootings. Taking such a position, so enraged, as to point out just the black communities struggles, supplants the seed of racism within the very nature of their argument. Supremacy shines right through their teeth, and spews hatred all over social media. I’m not calling for hatred of Supremacists. I’m not calling for the deaths of Supremacists, even though, the killers should be given capital punishment all around. I’m not going to sit here and name call them either. It’s useless, and those of us who see reality already have our feelings and descriptions swimming through our brains. So, we don’t need more of that here. However, it is a problem. What is happening with these type of mass shootings is completely different from the shootings in the black community over poverty, drugs, turf, relationships gone bad, etc. This is a real hate and race driven form of mass shootings, killing completely innocent people, who are simply in the wrong place at the wrong time. Not involved in some form of crime that puts them in a shooting situation. This kind of support for White Supremacists must end, and those who do it, have got to come to their common senses, and get a grip on reality. Now, I know this is getting long, but I’m sure you scanned through the list above. I am adding one more important list here, as a reminder of what is happening across this great nation of ours, more and more often, as you also pick up on the dates next to each killer’s name, who is white. Not Muslim, not Mexican, not black, yellow, red or green (aliens have been known to kill a few humans, if you follow that sort of stuff. Oct. 1, 2017. 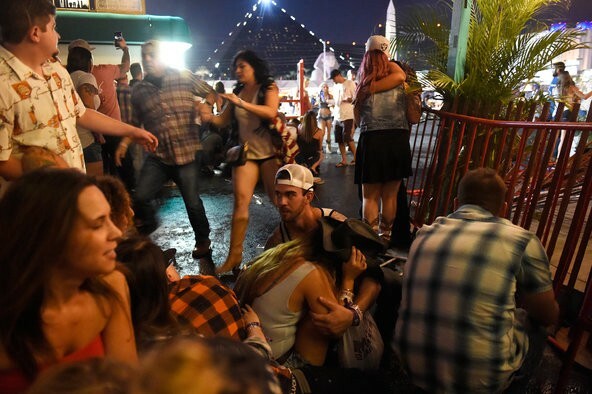 Las Vegas — A gunman opened fire on a crowd of more than 22,000 at a concert in Las Vegas, killing 58 people and injuring about 500, the authorities said, making it one of the deadliest mass shootings ever in the United States. The suspect, Stephen Paddock, 64, killed himself in his hotel room at the Mandalay Bay Resort and Casino. July 7, 2016. 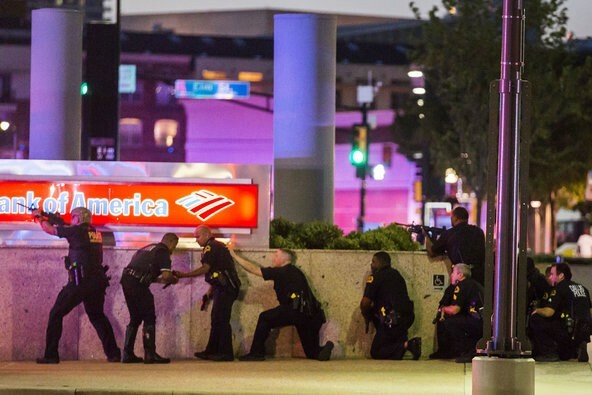 Dallas — Five Dallas police officers were killed after a military veteran ambushed them in a sniper attack during a demonstration against fatal police shootings. Officials said the veteran, Micah Johnson, targeted officers as retribution. He was killed by the police with a robot-delivered explosive device. June 12, 2016. Orlando, Fla. — Forty-nine people were killed and 53 were injured at the Pulse nightclub in Orlando, Fla., surpassing the 2007 killings at Virginia Tech. The authorities identified the gunman as Omar Mateen, 29, an American citizen living in Port St. Lucie, Fla.
Dec. 2, 2015. 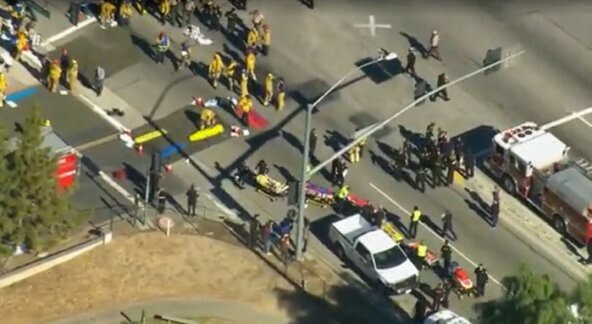 San Bernardino, Calif. — Police in San Bernardino mounted an intense manhunt for an armed couple who fired dozens of shots inside a conference hall where county employees had gathered at a service center for people with disabilities, leaving at least 14 dead and 17 wounded. Nov. 27, 2015. 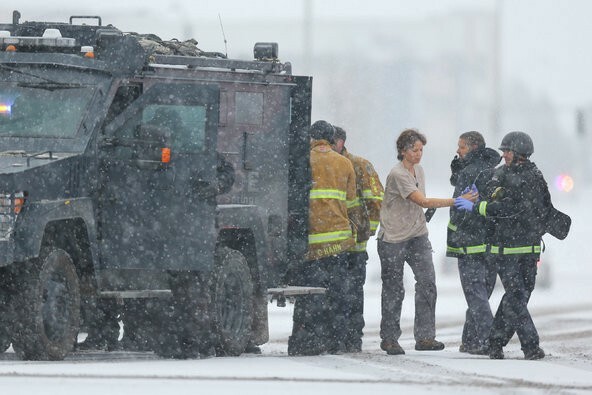 Colorado Springs — Three people were killed — a police officer and two civilians — and nine were wounded when a gunman opened fire with an assault rifle at a Planned Parenthood clinic. Robert L. Dear Jr., 57, surrendered more than five hours after the first shots were fired. Oct. 1, 2015. 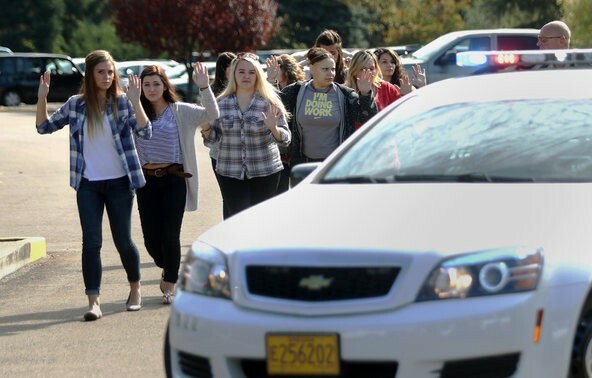 Roseburg, Ore. — At least 10 people were shot dead at Umpqua Community College in southern Oregon after Chris Harper Mercer, 26, opened fire. The gunman died in an exchange of fire with the police. July 16, 2015. Chattanooga, Tenn. — Four Marines and a Navy petty officer were killed after a man opened fire at two military locations. 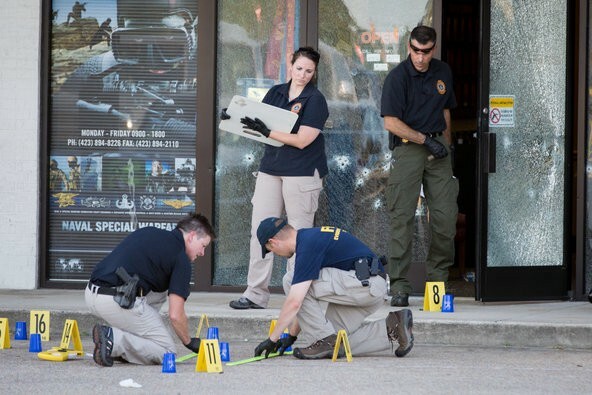 The Federal Bureau of Investigation identified the gunman, who also died, as Mohammod Youssuf Abdulazeez, 24. June 17, 2015. 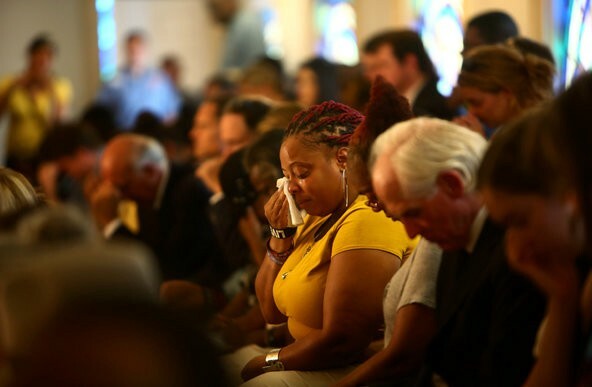 Charleston, S.C. — Nine people were shot dead at a historic black church in Charleston, S.C. The victims ranged in age from 26 to 87 and included the Rev. Clementa C. Pinckney, a prominent state senator. The police arrested Dylann Storm Roof, 21, a white supremacist who had published a racist manifesto online. If these photos don’t rip at your inner soul, and cause you to well up a little, then maybe you should look deep inside and practice some mindfulness, and try some meaningful cultural, socializing to broaden your horizons. Trump, Supremacists and all haters are trying to overtake your country, your Constitutional rights, and stomp on them with their version of a Hitleresque nationalist agenda. Be aware of the reality of this, because a small faction of racists can rise and wipe out millions of human beings. Do we really wanted these times in history to start repeating themselves in the United States of America, in the 21st Century? Please follow me on Medium and at the following social media sites, and feel free to click on my blog URL below, and follow me and sign up for my newsletter here and there. Also, please, please comment, and share this article with your followers and friends on social media, and here on Medium. Thanks to all who read and support writers around the world! Professional Reviews of Film, Television, Stage, Streaming Entertainment, Sports, and Music.